India goes BS-IV compliant in April and Bajaj has rolled out updates to all six motorcycles that wear the Pulsar name. 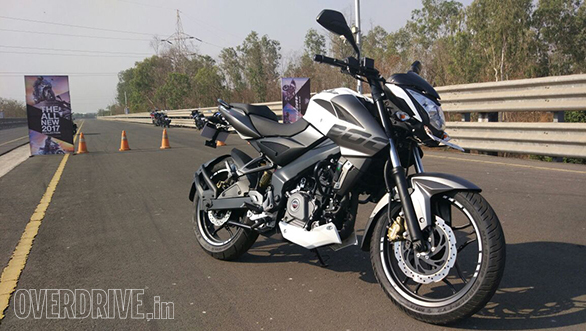 The big changes are reserved for Bajaj's Pulsars 150 and the 135LS. 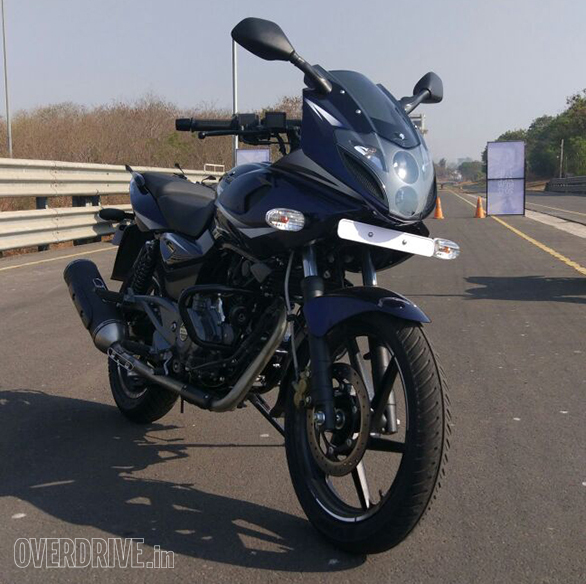 The Pulsar 150 gets a heavily reworked engine. The Bajaj Pulsar 135LS continues to wear the Pulsar name but is now re-positioned for a slightly different role. This story deals with the other four motorcycles, namely, the Bajaj Pulsars 180, 220, NS200 and RS200. A few updates are common across the range, let us get those out of the way. First, all of the Pulsars now eliminate the headlight on-off switch. 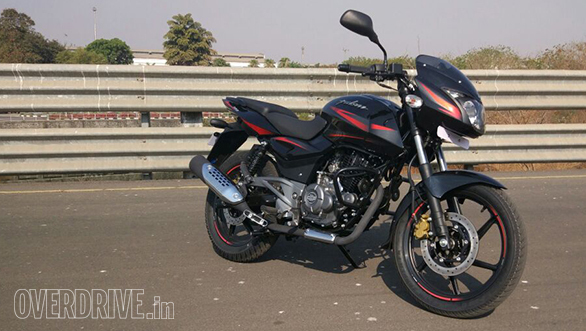 The Pulsar 135LS still has one, but we are not sure why. Second, all of the carbureted models receive a new CDI that uses five or more maps - instead of two - to determine spark timing and other parameters based on load, revs and throttle position etc. This gives Bajaj tighter control over combustion which in turn should create some economy and performance benefits. For the current purpose though, the new CDI and the arrival of Secondary Air Injection or SAI, as Bajaj officials call it, is how these engines have been readied for BS IV. Bajaj also confirms, along with many other manufacturers, that since we are skipping BS V and headed straight for BS VI in a couple of years, almost all vehicles will have to switch to fuel injection when those norms become applicable. The Bajaj Pulsar 180 soldiers on. When I rode it at the track, the length of the motorcycle did betray the age of the design but it does feel rather nice to ride. Still a reasonably strong seller for Bajaj, the motorcycle receives CNG - Bajaj speak for colour and graphics - apart from the SAI and CDI needed for BS-IV compliance. The other change is the addition of a 260mm rear disc unit. Normally, most of the braking on a motorcycle is done from the front end thanks to weight transfer, but Bajaj says customers have demanded a rear disc brake unequivocally. The Pulsar 180 is on sale at Rs 79,545, ex-Delhi. The Bajaj Pulsar 220 is another phenom in terms of sales for the company. Its sales are steady and significant, and people don't seem to want to change how the package looks, feels or goes. And that is certainly Bajaj's strategy here. So Bajaj add the SAI bits and the new CDI and call it good. The 21.1PS/18.6Nm oil-cooled engine is otherwise the same and the price is Rs 91,201, ex-Delhi. The new stuff is otherwise cosmetic - the "laser-edged" graphics and the new carbon-finish surround on the dash. As you know, the Bajaj AS200 has been retired in favour of the Bajaj NS200. The Bajaj NS200 receives a fair few updates for the 2017 model year. The NS200 was not on sale in India but has been exported continuously. Now, the new NS200 model gets more attention paid to its overall refinement - and you can feel the smoothness. The RS200 was a smidge smoother than the NS but now they are on par. The engine revs cleanly, smoothly to the redline with no vibration being felt on the bars or pegs on our test bike. This apart, the liquid-cooled 199.5cc engine makes 23.5PS/18.3Nm and is priced at Rs 96,453, ex-Delhi. The big change is visual. The NS wears the same body but it wears stylish new graphics. They're bolder in execution but the lines work with the body's silhouette, and the effect is extroverted and classy. The minimal belly pan adds a nice accent to the look. The NS200 should be in showrooms in a week or two. We have often noted that the RS200 was the best handling, most refined of the Pulsars. Perhaps that is the reason why mechanically, the RS200 receives no updates apart from the hardware and software needed to meet BS IV. 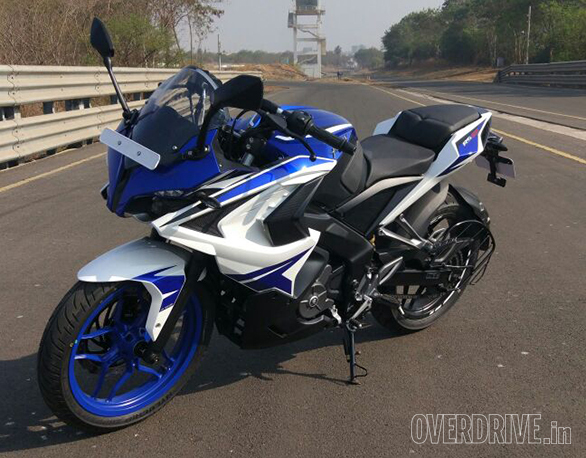 However, Bajaj did pay heed to feedback that the motorcycle was little too loud in design. The new brightwork is more restrained in line though not in palette. Our blue and white example, sported lines designed to mask the busy fairing panels and it works. The bottom half of the motorcycle is black, and the largely sticker-free white panels do elevate the RS. Bajaj also specifying different colours for the alloy wheels - our example has a blue front wheel. That, and the arrival of always headlamps on completes the package. The 2017 RS200 is on its way to showrooms and the 24.5PS/18.6Nm motorcycle can be purchased for Rs 1,21,881 (non-ABS) and 1,33,883 (ABS), both ex-Delhi.